Gunn Mihani steals your heart from the first sight. Her innocence makes you feel for the situation even deeper. What’s Good: Fact that such a strong message could be given in just about 10 minutes, Gunn’s innocence steals your heart first then tears it towards the end. What’s Bad: I don’t even try to nitpick something bad as the story gets me from the word go. Loo Break: Don’t even to think to even take a second of pause during the film. Watch or Not? : Whenever it comes, leave everything you’re doing and invest few minutes of your life watching something special. 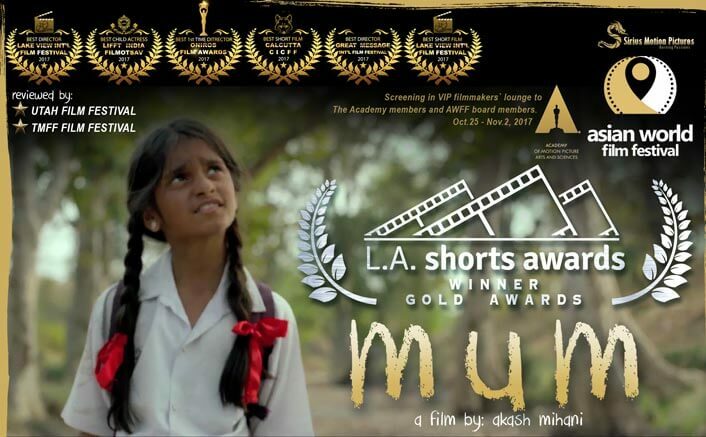 Mum is a story about a school-kid Mamta. It starts with Mamta relaxing on a swing watching the world upside down. For some reason, she does not want to attend the school that day. Making an excuse for a holiday she tries avoiding to go to school. Her father knows she’s lying so makes her get up and readies her for school. Cooking food for her, slipping footwear to her support registers how Mamta is a daughter without raised only by her father. As she moves on the way for her school she falls on the floor. I mentioned this scene because it has importance towards the end. As she reaches school, we get to know why she was avoiding it. Without spoiling much, watch Mum to know how a mother is everything. This 10 minutes of brilliance is written by Jackie Bala. Mum is full of appropriately written dialogues without trying to be preachy yet tearing your soul apart. “My goat will feed (milk) this (human) kid, too, along with her kids. Maybe she’ll understand! She’s a mother after all,” This is just one of those many brilliant lines you witness in this 10 minutes wonder. 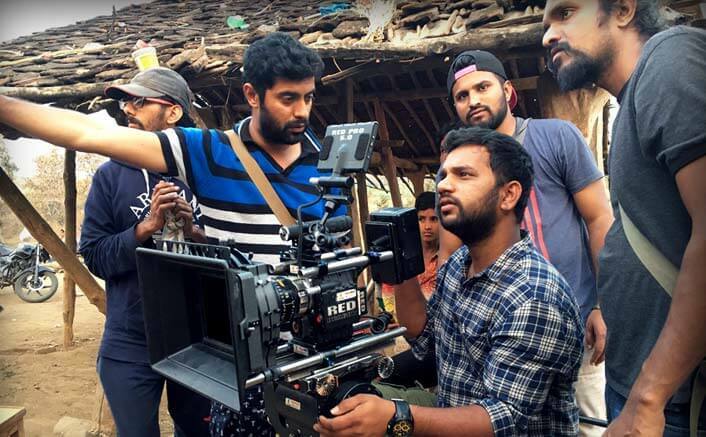 Akash does with a short film, what many can’t do with fully fledged feature films. Special mention for the colourist, Kiran Kumar Kota. He has done wonderfully well to colour the frames Akash wanted to use for the story. Be it the board behind the teacher or the dress Gunn is wearing while playing with the baby goat, everything is coloured so well you sometimes forget the black message Akash is trying to portray. Gunn Mihani steals your heart from the first sight. Her innocence makes you feel for the situation even deeper. She makes you feel love and hate at the same time. Her character is sketched with perfection, she delivers her lines like a swan song but once reality sinks in you have a lump in your throat. Inayat Kazi, the teacher, leaves a mark with his presence. The way he ends the film is to be noted. Trembling of his lips while Gunn delivers his speech is also something that grabs your attention about his acting. Nitesh Upadhyay, the father, also does well for the little time he’s there. Genuinely approaching the character of a father is what I liked about his performance. I’m not aware about Akash Mihani’s earlier work but this short film takes him to the league of directors I would love to see making feature films one day. Without a single dead scene, he accomplishes what many short films failed to do – you’ll never feel you’re watching a short film. Music by Bapi Tutul and sound by Subir Das perfectly complements the story. Minimalist usage of instruments keeps the approach as simple as every single aspect of this film. Mum is not about just the love of a mother, it covers a lot of things in its short duration. It’s like the pain of an abandoned child, you can’t really understand until you have it yourself. Add Mum to your ‘to-watch’ list whenever it releases online. Share with us your experience of watching Mum Short Film .